Apache Tomcat commonly called as Tomcat is an open source Webserver and Servlet container developed by Apache Software Foundation. It is written in Java and released under Apache 2.0 License. This is a cross platform application. Tomcat is actually composed of a number of components, including a Tomcat JSP engine and a variety of different connectors, but its core component is called Catalina. Catalina provides Tomcat's actual implementation of the servlet specification. In this article, I'll provide you guidelines to install, configure and create multiple instances of Tomcat 8 on Ubuntu 16.04. Let's walk through the installations steps. Since Tomcat is written in Java, we need Java to be installed on our server prior to the installation. After the installation process, just verify the Java version installed on your server. We can download the latest version of Tomcat here. Download and extract this under the folder /opt/apache-tomcat8. Connecting to a.mbbsindia.com (a.mbbsindia.com)|103.27.233.42|:80... connected. It is always recommended to run an application as a user instead of root user. Hence, I created a user named tomcat to run this application. Now make all scripts under the Tomcat bin folder executable for the user. Now switch to the tomcat user and execute the script startup.sh inside the Tomcat binary folder namely /opt/apache-tomcat8/bin/ to run this application. 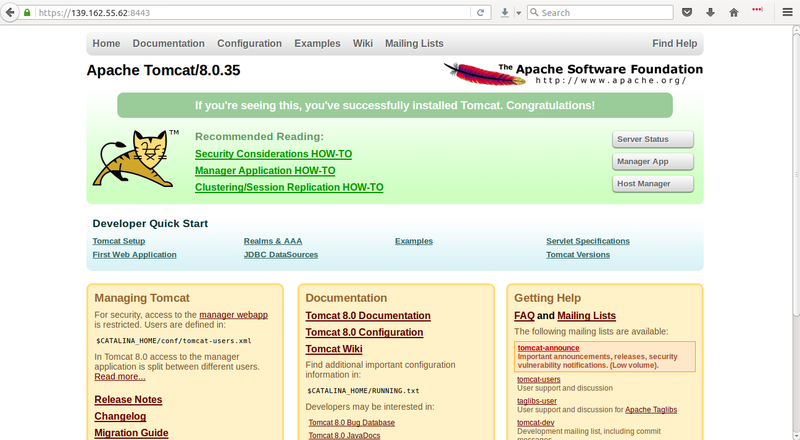 Now we can access this URL http://serverip:8080 on the browser to confirm the Tomcat working. PS : To shutdown the application you can use the script shutdown.sh inside the Tomcat binaries. 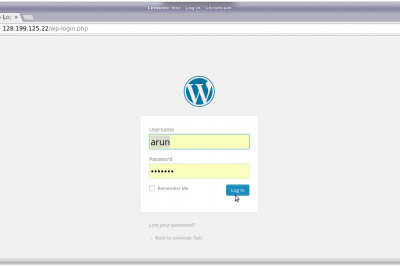 SEVERE: Could not contact localhost:8005. Tomcat may not be running. In a production environment, it is very useful to have the capablility to deploy a new web application or undeploy an existing one, without having to shutdown/restart the entire server. In addition, you can even reload an exisiting application itself, even without declaring it to be reloadable in the Tomcat server configuration file. Deploy a new web application from the uploaded WAR file or on a specified context path from the server f/s. Reload an existing web applications, to reflect changes in the contents of the /WEB-INF/classes or /WEB-INF/lib. Start and Stop an existing web applications, --stopping the existing application thus making it unavailable. But don't undeploy it. We can create the users to manage the Tomcat Management Web console. You can edit the Tomcat user configuration file namely conf/tomcat-users.xml to create the admin users to manage the Panel. I've appended these lines to the Tomcat user configuration file to create two users namely manager and admin with the passwords as listed. We can access the Tomcat Web Application Manager using the URL >>http://SERVERIP:8080/manager/ with the users created. 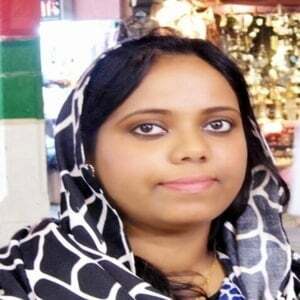 Is CN=Saheetha Shameer, OU=VIP, O=VIP, L=Kochi, ST=Kerala, C=IN correct? After entering the details for generating the certification, you can edit the Tomcat server configuration to enable the SSL/TLS support directing to the keystore file. Restart the Tomcat application once confirming the keystore contents. 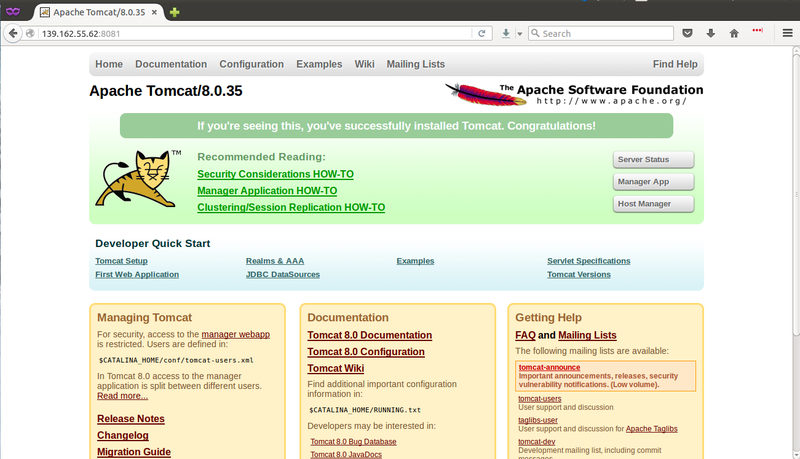 Now you can access the Tomcat application on the port 8443 on URL https://SERVER IP:8443 to confirm its working. In order to create multiple Tomcat instances, you can download and extract the Tomcat application to a different folder. 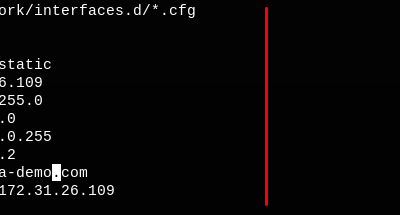 I extracted the contents to a different folder namely /opt/apache-tomcat8-2. After extracting the files, we need to make proper changes to the Tomcat Server configuration file for modifying the Connector ports and other important ports for the application to avoid conflicts with the existing application. These are the following changes applied to the Tomcat Server configuration file namely conf/server.xml. Making the script executable for the user. Switch to tomcat user and start the application.